Jack and Nancy L. submitted this photo and caption. Nick S., a member of Carolina Crown, prepares for a sectional rehearsal. 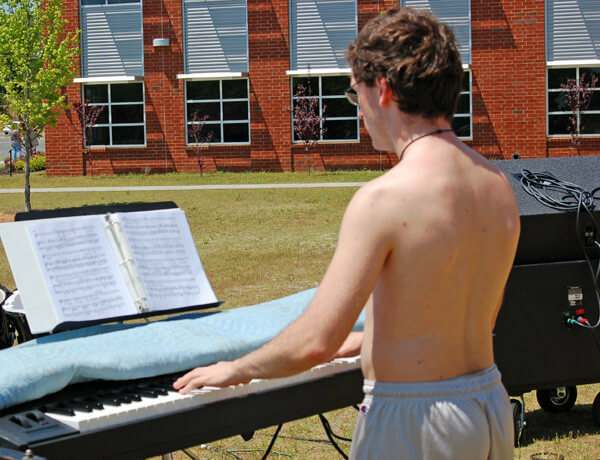 This image was taken at the end of the corps' April camp at Nation Ford High School in Fort Mill, S.C.